Attend The 2016 Nashville Boat & Sport Show January 7-10 for Grand Prize Entry! Find Nashville FlyBoard at Booth #333 For Your Chance to Win the Grand Prize! Follow & Tag Nashville FlyBoard on Instagram, Facebook, & Twitter. 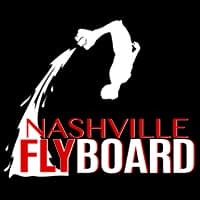 Share #NashFlyboardContest Photo For Most Entry Submissions. Submissions Entered at The Nashville Boat Show Count as 4 Entries. Winners will be chosen based on number of entries through random drawing. Receive More Entries by Following & Sharing Contest Photo with #NashFlyboardContest on Instagram, Facebook, & Twitter. Each Follow & Share will be counted as an entry. Get up to 10 Entries for More Chances to Win! Submit an Entry at the Nashville Boat & Sport Show at Music City Convention Center, January 6-10, 2016, Nashville FlyBoard, LLC Booth #333 – Counts as 4 Extra Submissions! Nashville FlyBoard Party: Half-Day (4 Hour) Session for 6 people with Nashville FlyBoard. Includes Combo of FlyBoard, Hoverboard, & JetPack at Location of winner’s choice. To win the Grand Prize, an entry must be submitted through Nashville Boat & Sport Show, at Nashville FlyBoard’s Booth #333, at the Music City Convention Center, January 7-10 2016. 2 Prizes: 30 Minute Sessions for 1 person with choice of FlyBoard, Hoverboard, JetPack, at Location of Winner’s Choice. All Contest Entries Must Be Submitted Between 1/2/16 – 2/15/16. Winner will be announced on Nashville FlyBoard’s Blog & Social Media Sites on 2-19-2016. Locations for Winner’s Choice Include: Percy Priest, Center Hill, Old Hickory, Dale Hollow, Tim’s Ford Lake. Learn More About The Contest Here!